Neither snow, nor ice... Featuring Vibram's Arctic Grip® outsole, the men's Saucony Peregrine 8 ICE+ turns cold weather from an excuse to a bonus. 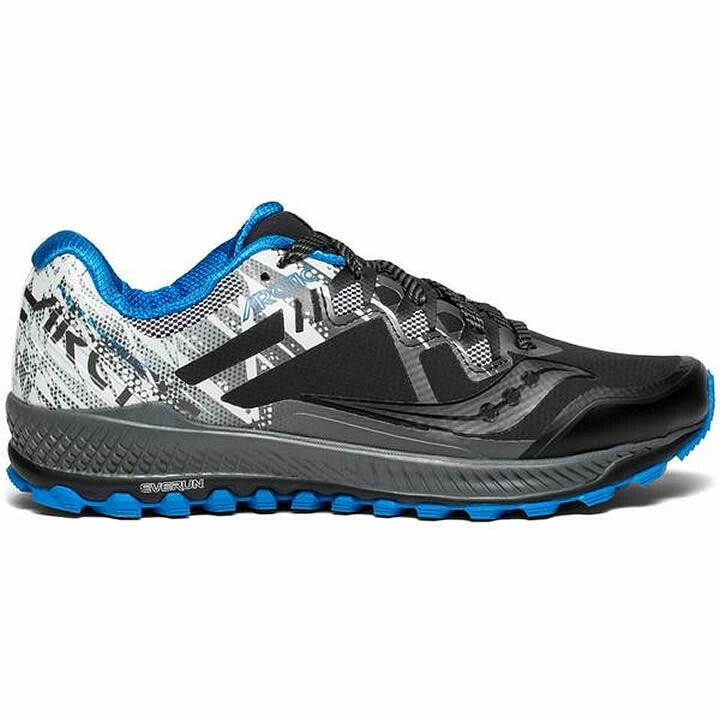 The proprietary outsole of this ice and trail running shoe utilizes Wet Ice Tech to keep you pushing the pace without slipping, and EVERUN™ cushioning ensures you can lay fresh tracks for miles. EVERUN™ provides a lively, resilient ride while providing continuous cushioning throughout the run. Highly durable and with enhanced energy return properties, EVERUN delivers an energized running experience with every stride. Vibram's proprietary outsole technology provides high-traction, lightweight and protective elements, helping you conquer the trails with speed and confidence. PWRTRAC is a tacky, durable rubber providing exceptional traction and abrasion resistance. Compound has a Coefficient of Friction (COF) that is 3x that of normal carbon rubber.